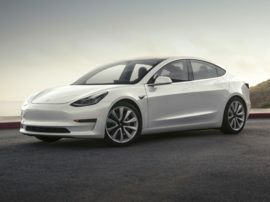 Named for physicist and pioneering electrical engineer Nikola Tesla—the man who is also credited with inventing alternating current—Tesla Motors is acknowledged as being the first automotive company to successfully introduce a series production electric car capable of traveling more than 200 miles between charges. The first of the new Tesla cars was the Tesla Roadster. Based on the Lotus Elise, the 2008 Tesla Roadster was the first highway capable all-electric vehicle to go into serial production for sale in the United States in contemporary times. When Tesla announced plans for the car, many in the Detroit establishment scoffed at the idea. However, the culture of Silicon Valley was perfectly suited to an endeavor of this nature. Some of the finest electrical engineers the world has ever known reside in the area. Further, Stanford University, arguably the hub around which Silicon Valley revolves, is a veritable incubator of entrepreneurial talent. Additionally, the nature of business in the region is to take on totally new concepts and fast track them into production. 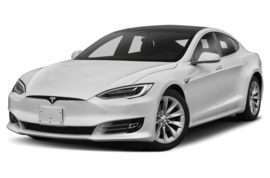 Deliveries of the more mainstream (though still rather expensive) Tesla Model S began in June of 2012. 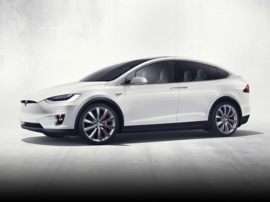 These new Tesla cars debuted to considerable acclaim, with a number of automotive publications declaring it their “Car of The Year”. The Model S seats five comfortably, has a spacious trunk, luxurious appointments and true luxury car presence. It is also capable of traveling up to 265 miles between charges. A high performance sport sedan, the new Tesla Model S modles, in their most potent form, boast 416 horsepower and 443 ft-lbs of torque. The base model features a 362 horsepower electric motor with 325 ft-lbs of torque. The Model S was designed to make changing its battery packs a very simple process. Further, Tesla Motors is rolling out a nationwide network of “Supercharging” stations. These locations tout the capability of imbuing the Model S with a charge good for about 150 miles of range in about 30 minutes—or completely swapping out the battery pack for a fully recharged one in about two minutes. It is expected the Supercharger network will be complete by the end of 2013, and further, Tesla owners will never have to pay to use it. Battery swaps on the other hand are expected to cost between $60 and $80, or about what it costs to fill up the average luxury sedan with premium fuel—at current rates.